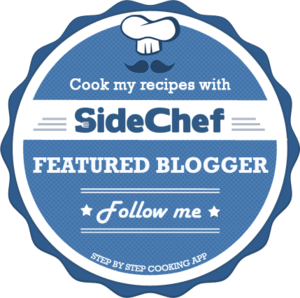 I used my recipe for Strawberry Coconut Banana Muffins as a base for these. I just swapped out a few ingredients and added some maple syrup and rolled oats. They are simple to put together and bake up fast. You can make some for your kids after school and they can eat them warm, with a bit of butter. The maple added enough sweetness without the need for sugar. 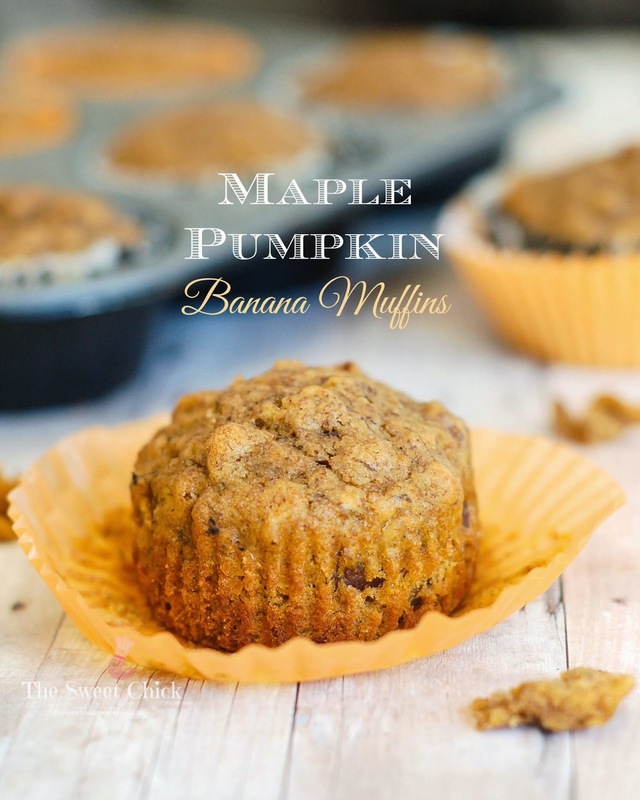 The banana and pumpkin purees blended together for a great flavor combination and added the right amount of moistness to the muffins. The banana is the most predominate flavor, but you can tell there is another flavor in the background. 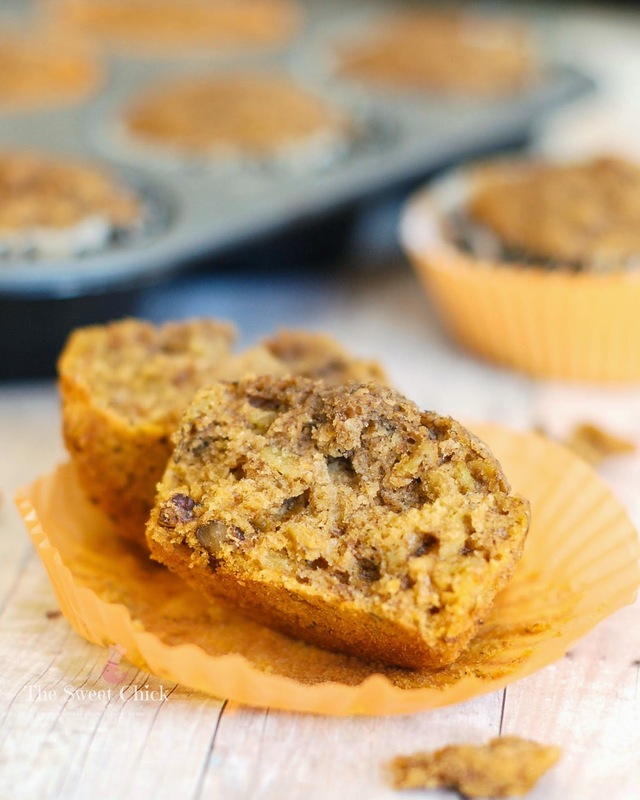 The rolled oats and pecans gave some texture to the muffin. Overall they baked well and came out light and fluffy. I may add more batter to each liner next time to get a taller muffin, but quite honestly for kids they are just the right size. So go ahead and make some for your kids tomorrow or for yourself. They do taste great with coffee. Place solid coconut oil in a microwave safe bowl and microwave for about 20 seconds until melted. 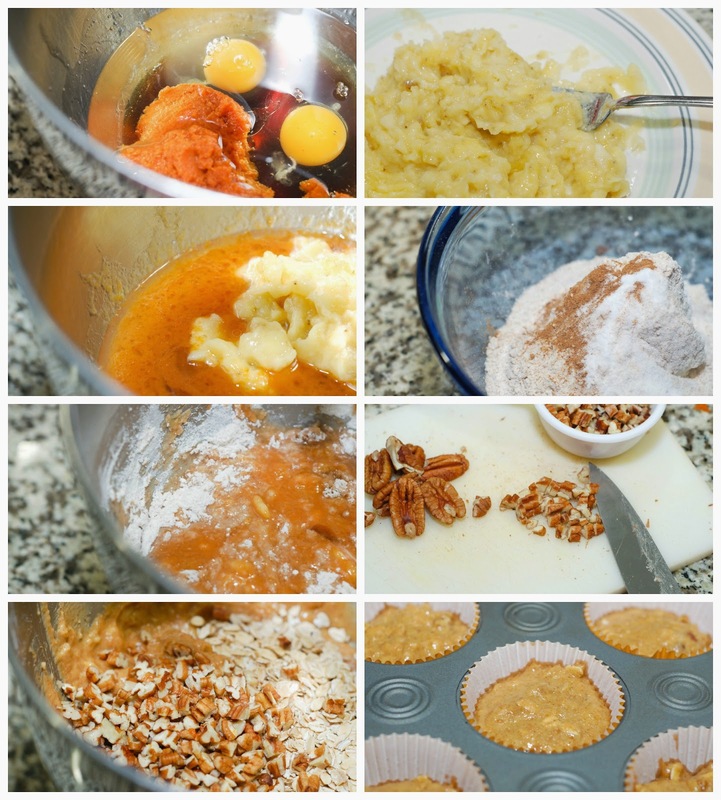 In a stand mixer bowl add maple syrup, oil, eggs, and pumpkin puree. Mix on low speed until completely blended. Then add mashed bananas and mix until smooth. In a medium bowl, combine flours, pumpkin spice, baking soda, and salt. Mix with a spoon until well blended. 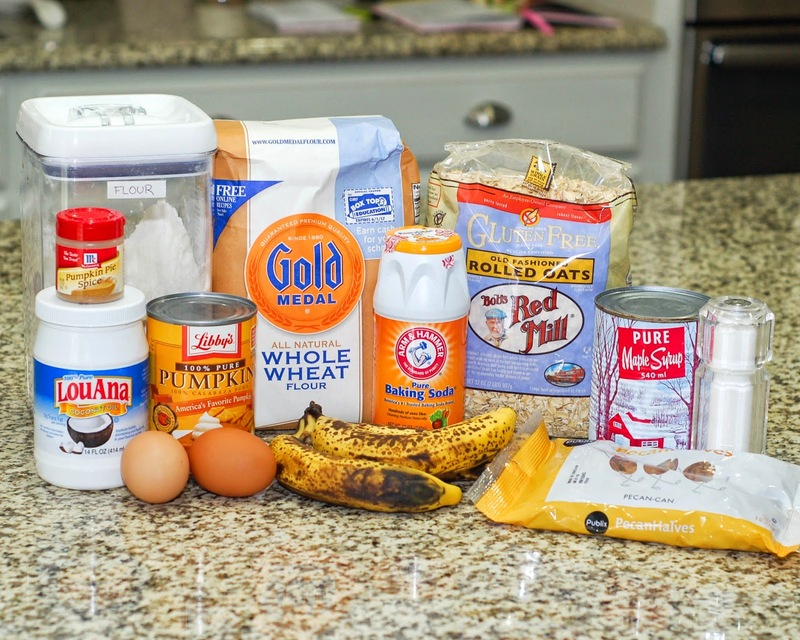 Add the flour mixture to banana/pumpkin mixture and mix on low until completely incorporated. Next, add the rolled oats and pecans, mixing until they are evenly distributed. Spoon batter into greased/lined muffin tins until about 3/4 full. Bake at 375ºF for 15 minutes or until toothpick inserted in center comes out clean. Remove from oven and enjoy warm or place on cooling rack and eat later. Thanks Ilona. I have to make another batch myself.